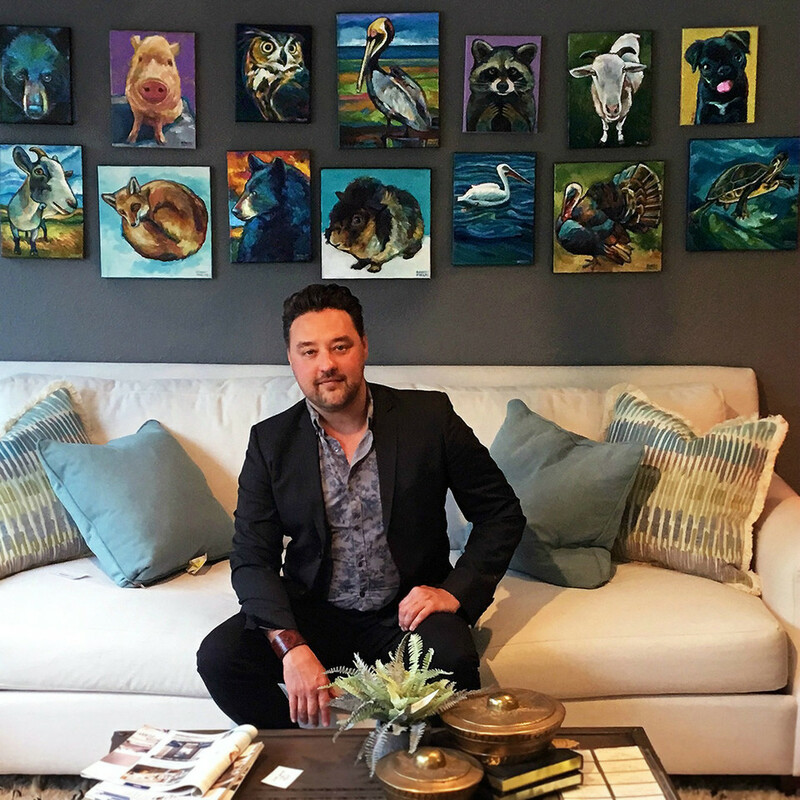 In addition to his thriving career as a decorative painter, Robert Phelps has been a professional exhibiting fine artist since 1996. He is recognized for his vibrant figurative work and uniquely-colored portraiture. He began his arts career at Disney as a scenic painter for the Animal Kingdom and as a caricaturist for the many themed resorts. Raised in the mountainous terrain of Appalachia, Robert developed a deep affinity for the natural world. Most of his paintings reflect an innate affection for the wilderness “within and without” humankind. A self-taught artist, Robert enjoys exploring the unconventional application of color in the expressionist and fauvist styles. His work is collected both nationally and abroad and has been featured in solo and group exhibitions in the Tampa bay area. Robert's bold and energetic portraits range from menacingly brooding Mike Tyson to adorable teacup chihuahuas. Although his work often varies thematically, Robert continually strives to express the raw, intimate beauty in each of his subjects.